Oltretomba are a band from Italy that plays a very raw, old school, satanic and occult form of black metal and this is a review of their 2014 album "The Death-Schrierati Con La Morte" which was released by Fistbang Records. An intro with distorted noises starts off the album along with some background noises and after the intro tribal beats make their way on the album with some heavy guitars and deep demonic vocals and the music starts to go for more of a raw and old school black metal direction along with some grim vocals. Melodies can be heard in certain sections of the recording and you can hear influences from both the first and second wave styles of black metal in their sound along with a great amount of thrash elements and punk rock style energy and after awhile more fast parts and blast beats find their way onto the recording along with some old school guitar leads that bring an 80's extreme metal feeling to the album while also having their melodic moments at times. There is a good mixture of slow, mid paced and fast parts throughout the recording with the faster sections displaying a more raw side of black metal and some of the later tracks shows the band bringing in bass guitar leads along with a small amount of clean playing on one of the later songs and at times growls can be heard in the music and they give the album more of an early death/thrash metal feeling. 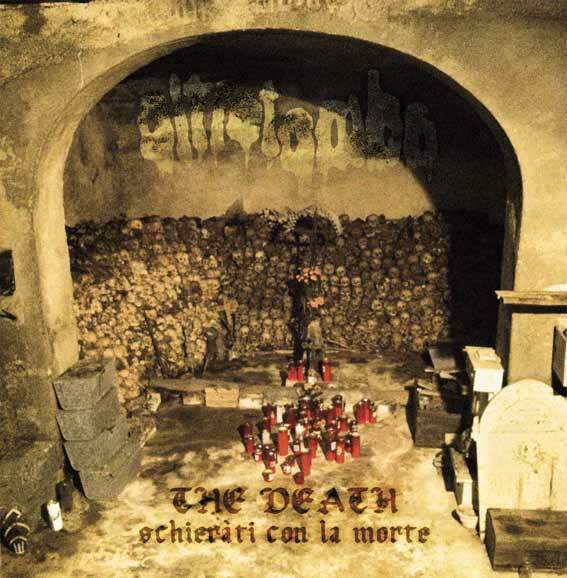 Oltretomba takes the first and second waves of black metal and combines them to create an album that is very catchy, old school and evil sounding, the production has a very raw, old school and heavy sound, while the lyrics cover Satanism, Occultism, Blasphemies, and Intolerance. In my opinion Oltretomba are a very great sounding raw, old school and satanic black metal band and if you are a fan of this musical genre, you should check out this recording. RECOMMENDED TRACKS INCLUDE "The Altar Of Succubus" "Silence..People Are Dying" "To Turn A Storm Against God" and "They Are Coming". 8/5 out of 10.